Reflection titled "Transcendently Present God" written and posted with this piece on The Episcopal Cafe by Mel Ahlborn on October 18, 2007. 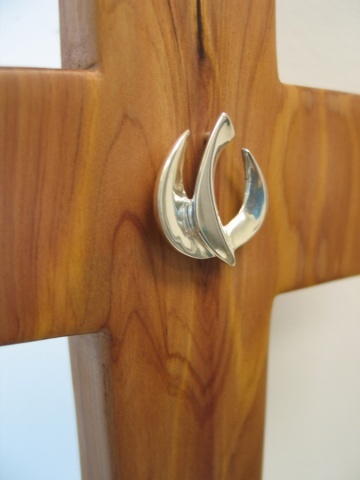 On View The Spirit in Motion, sterling silver on cedar; collaborative work created by wood artist Margaret Bailey and jewelry artist Nancy Denmark. Both artists are parishioners at The Church of the Epiphany, Houston and are members of the ECVA-Texas Chapter.